By Yuri Grin on April 22, 2018 in Blog, Motivation and personal growth. Denis Diderot as depicted by Louis-Michel van Loo in 1767. 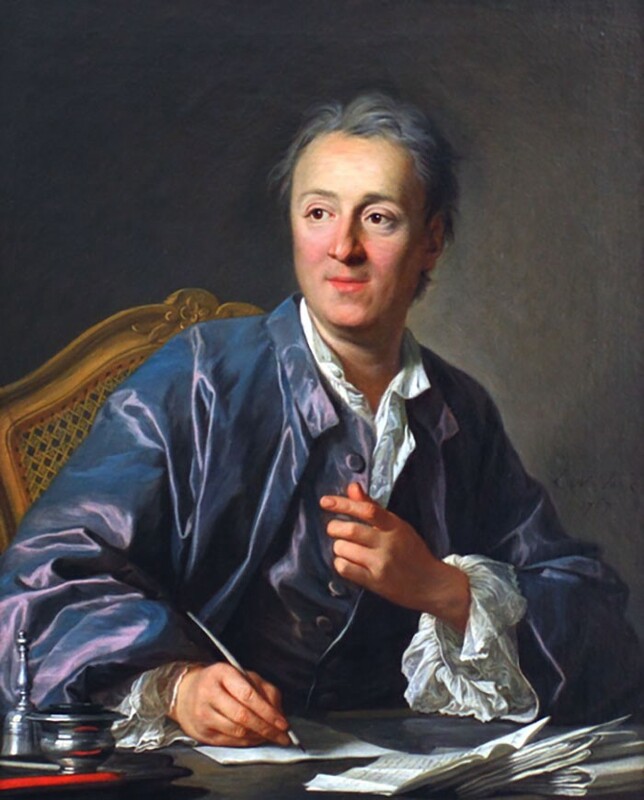 In this painting Diderot is wearing a robe similar to the one that prompted his famous essay on the Diderot Effect. Diderot was 52 years old and his daughter was about to be married, but he could not afford to provide a dowry. Despite his lack of wealth, Diderot’s name was well-known because he was the co-founder and writer of Encyclopédie, one of the most comprehensive encyclopedias of the time. When Catherine the Great, the emperor of Russia, heard of Diderot’s financial troubles she offered to buy his library from him for £1000 GBP, which is approximately $50,000 USD in 2015 dollars. Suddenly, Diderot had money to spare. Shortly after this lucky sale, Diderot acquired a new scarlet robe. That’s when everything went wrong. Is there anything Diderot Effect has in common with home biz online? Of course it has. When you join any kind of business you’ll find that you need not only website link to promote, but also landing pages, autoresponder, tracking software, front end and back end offer etc. Read at the end of this post perfect solution to this – that is done for you..
Diderot’s scarlet robe was beautiful. So beautiful, in fact, that he immediately noticed how out of place it seemed when surrounded by the rest of his common possessions. In his words, there was “no more coordination, no more unity, no more beauty” between his robe and the rest of his items. The philosopher soon felt the urge to buy some new things to match the beauty of his robe. Like many others, I have fallen victim to the Diderot Effect (says James Clear, writer, personal growth). I recently bought a new car and I ended up purchasing all sorts of additional things to go inside it. I bought a tire pressure gauge, a car charger for my cell phone, an extra umbrella, a first aid kit, a pocket knife, a flashlight, emergency blankets, and even a seat belt cutting tool. Allow me to point out that I owned my previous car for nearly 10 years and at no point did I feel that any of the previously mentioned items were worth purchasing. And yet, after getting my shiny new car, I found myself falling into the same consumption spiral as Diderot. Life has a natural tendency to become filled with more. We are rarely lookingto downgrade, to simplify, to eliminate, to reduce. Our natural inclination is always to accumulate, to add, to upgrade, and to build upon. The Diderot Effect tells us that your life is only going to have more things fighting to get in it, so you need to to understand how to curate, eliminate, and focus on the things that matter. Reduce exposure. Nearly every habit is initiated by a trigger or cue. One of the quickest ways to reduce the power of the Diderot Effect is to avoid the habit triggers that cause it in the first place. Unsubscribe from commercial emails. Call the magazines that send you catalogs and opt out of their mailings. Meet friends at the park rather than the mall. Block your favorite shopping websites using tools like Freedom. Set self-imposed limits. Live a carefully constrained life by creating limitations for you to operate within. Click here to get “Done-for-You” marketing system (with minimum set of elements to get your first commissions) .